Visit Atish Mukadam's Page to see more pictures and videos shared of each year. Visit Vigneshwaray Mitra Mandal's Page to see more pictures and videos shared of each year. Visit Smriti Dwivedi's Page to see more pictures and videos shared of each year. Visit Vir Naik's Page to see more pictures and videos shared of each year. Visit Pankaj Undale's Page to see more pictures and videos shared of each year. Visit Anant Soni's Page to see more pictures and videos shared of each year. Visit Ganesh Rahatwal's Page to see more pictures and videos shared of each year. Visit Kaustubh Bhogaonkar's Page to see more pictures and videos shared of each year. Visit Prasad Tashildar's Page to see more pictures and videos shared of each year. Visit Sushant Patankar's Page to see more pictures and videos shared of each year. Visit Varuna Thakur's Page to see more pictures and videos shared of each year. 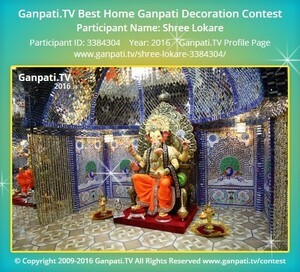 Visit Shree Lokare's Page to see more pictures and videos shared of each year.